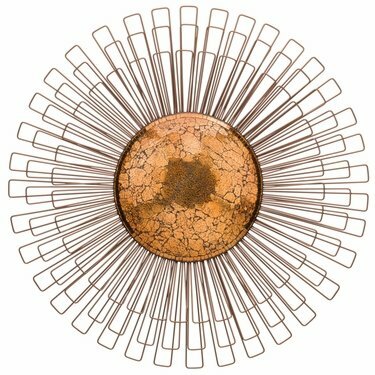 Our hand-painted Copper Dandelion Wall Decor has gorgeous crackled glass that shines brilliantly and with depth at various angles. The metal wire petals give it an added level of complexity that exudes contemporary and elegance at the same time. A beautiful must have for indoor and outdoor use.